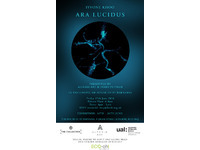 Ara Lucidus was presented in London for the first time after its debut at the 56th Venice Biennale (2014). 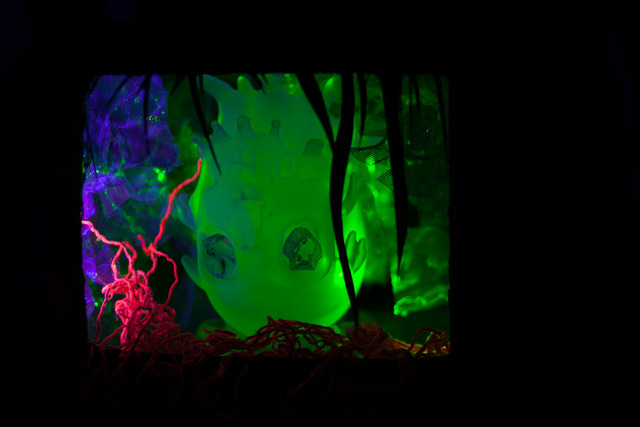 It is an enticing and complex visual work that incorporates hand-blown Murano glass, innovative computer programming and Khoo’s ongoing research into bioluminescence, to create an atmospheric world of changing light and glowing sources. 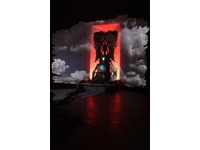 As you entered the Chapel you experienced the changing projections and are immediately transported into Dante’s world. 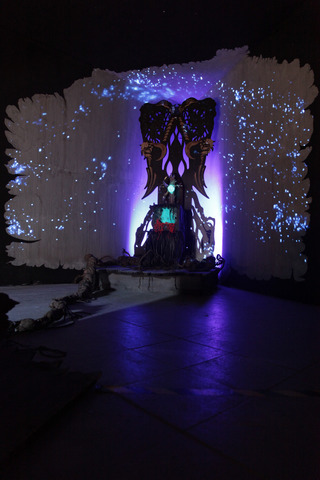 Ara Lucidus is a site-specific installation created by Iyvone Khoo. 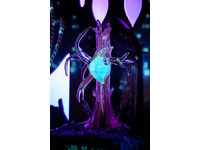 The work was initiated in response to the theme Gotika for the 2015 edition of Glasstress, a Collateral event of the Venice Biennale between the Palazzo Franchetti and the Island of Murano. 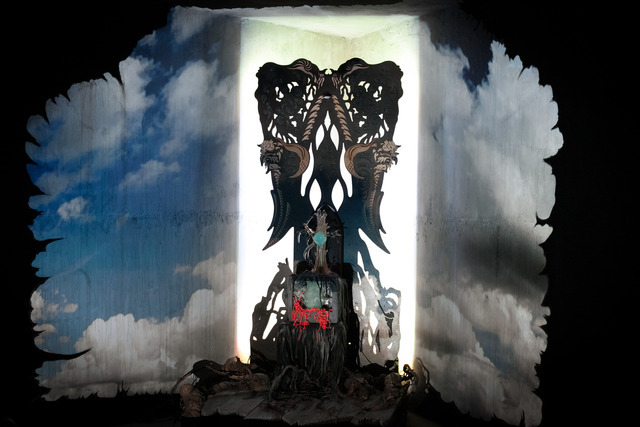 Medieval Gothic minds were ruled by many fears; fear of God, of nature and of the unknown. 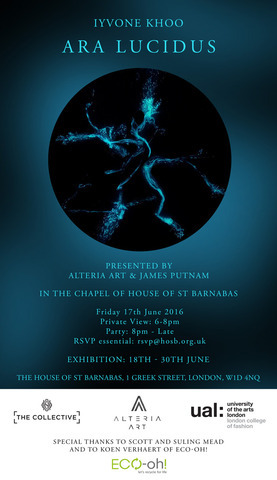 Fireflies were believed to be souls, and their light was seen as a mysterious, magical and supernatural phenomenon. 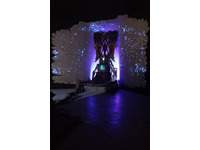 The installation occupies a juncture where science, art and the spiritual meet. 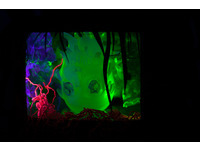 Inspired by a common thread in bioluminescence, the work synthesizes the past with the present. 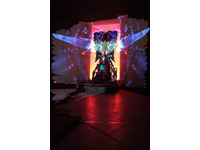 Taking references from Dante’s Divine Comedy the idea crystallized into a dynamic contemporary ‘light altar’ using lasers, LEDs, ultraviolet light and video projection alongside wooden, plastic and hand-blown glass elements. 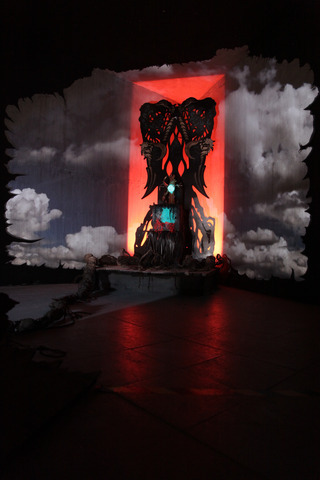 Set in darkness, a throne sits on a wooden raft, with monstrous roots that cling onto a prayer pew. 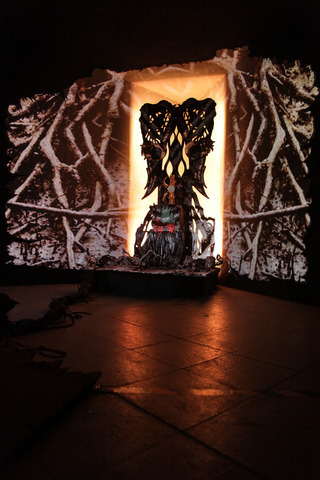 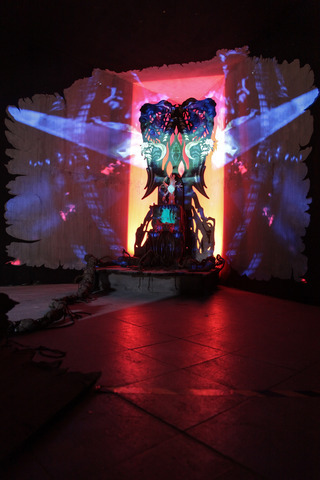 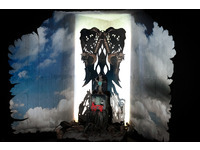 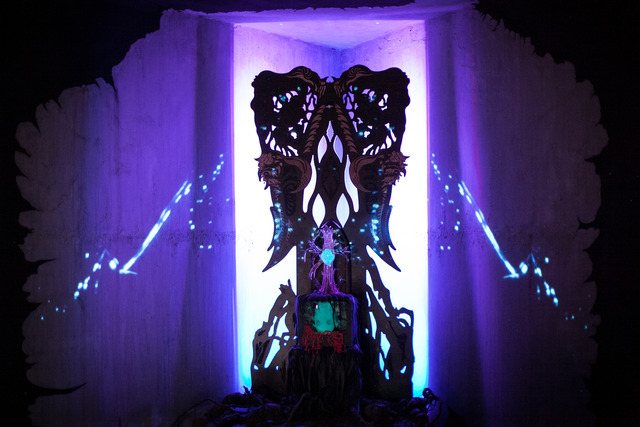 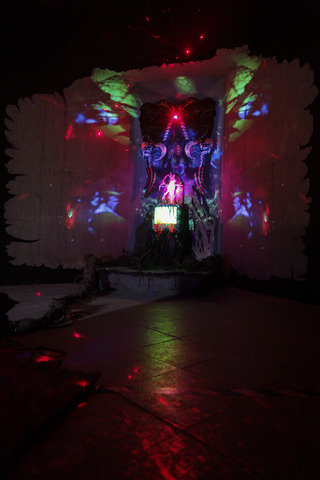 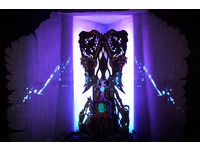 On the throne is a screen and within it is an inverted glowing skull, embedded with luminescent pigments that symbolize 'Cold Hell' and Dante's ascension to Purgatory. 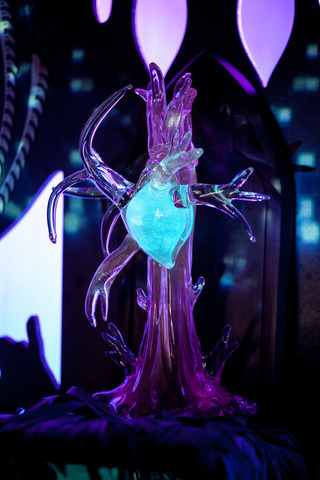 Growing out of the screen is a glowing glass heart that sprouts from a tree. 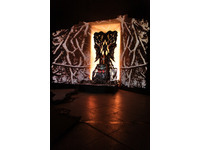 This relates to Dante's lost love, Beatrice and his quest for Illumination amongst the 'Dark Woods'. 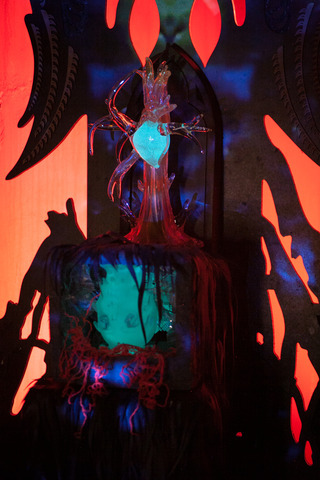 By tracing the origin of the scientific term ‘Luciferin’ (the light-emitting molecule in bioluminescent organisms) the artist’s research has led to the miraculous ‘Liquor Lucidus’, a shining liquid allegedly prepared from flying glow-worms by the German monk Albertus Magnus (1193-1280) and undoubtedly the first recorded bioluminescent potion.